Being a tutor is like a counselor to students. Not only educate them the knowledge in books but also share them life experience as well. To see them succeed in both study and life is the greatest satisfaction I could find in being a teacher. The students are enjoying her class. Gratitude message from the parents. Gratitude message from her student. Amazing ability to blend and mix with the students,and the way she approaches every student differs for each student. 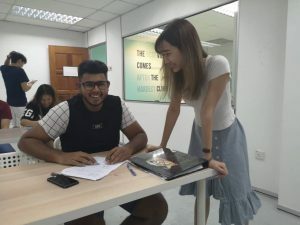 Her ability to adapt to the needs and understanding of each student is exceptional and one that only comes through experience.I would definitely recommend her for anyone who has troubles in accounting,as she surpasses most difficulties with ease and helps you through the tougher ones.Without doubt one of my favourites. Teacher Jes is a cute and funny teacher. Her teaching methods are great and I loved it!! I would recommend my friends to join teacher Jes class, so their accountings can improve and get lots of A* in the exam and Igcse. Her techniques prove effective when it comes clearing doubts. 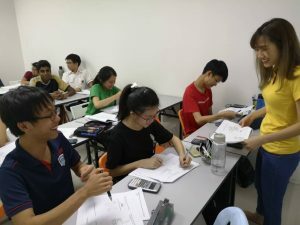 Ms Jes is a good accounting teacher as she has a lot of knowledge about the subject. She always prepares notes beforehand to ease my understanding and also gives tips on how to answer questions during exams which is very useful. Ms Jes is also very responsible and is always punctual to classes. 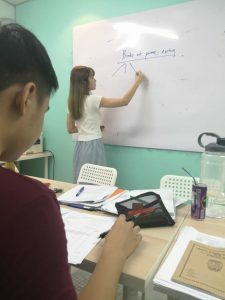 She is also friendly and easy to approach and I am very comfortable with her as my tutor. I have been studying under Ms Jes for quite a while now and I have not met such a complete and amazing teacher for Accounting before. 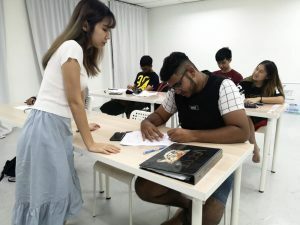 Ms Jes has a very friendly and kind attitude and that helps me absorb the information she teaches with ease. She prepares notes that she can use to explain the content and concepts of Accounting topics and this improves my understanding of Accounting a lot more than before she started teaching me. She is not just helpful in Accounting but also life problems. She is the ear who listens when you feel down. Apart from that she is also a role model you can look up to as she has many good habits that can benefit youself greatly, for example: determination, willpower, organisation, time management and a lot more. I would 110% recommend this teacher for whoever takes IGCSE Accounting and is having difficulty understanding it.